for $2,000 K-Cash Each day! for $5,000 K-Cash Each day! 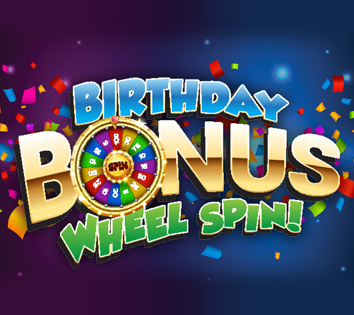 Receive One bonus ticket for every 10 points earned each promotion day. Win one of FOUR GRAND PRIZES:	BBQ GRILL OR MEAT BUNDLE! Additional Prizes Include:	BBQ BUNDLE, ACADEMY SPORTS GIFT CARD & PROMO CHIPS. Promotion valid for Table Games only. Every Winner gets an umbrella! 1 Winner Every 30 Minutes! One kiosk winner every half hour! The more you play, the more chances to win! $850 k-cash given away each sunday! Get 10 bonus tickets For Every 10 Points Earned Playing. Promotion excludes April 21, 2019. Earn just 10 slot points, and you’ll swipe your card at the kiosk to play the “Press 2 Win” instant game to Win up to $300 K-CASH! *Deli baskets available from 8am-9pm only. Young at Heart. Rich of Pocket. Check in from 8am to 8pm. For our 50+ guests, earn just 10 slot points, and you’ll play our “Neon Spin the Wheel” instant win kiosk game for up to $100 K-Cash. Also, receive a ticket from the kiosk for a $3 deli basket at the Dreamcatcher Buffet! Come during your birthday month and win up to $100 K-cash! New members 18 years and older sign up and receive $25 K-Cash!